TakeLessons, an online marketplace for finding and vetting instructors, earlier this week introduced an affordable way for learners of all ages to receive live instruction from real teachers over the internet. The company launched TakeLessons Live, a monthly subscription-based service that provides access to unlimited lessons on chemistry, piano, singing, French, Spanish and more. For less than a dollar per month, students can receive live instruction in a group setting within the TakeLessons Classroom, a central learning platform accessible on laptops and mobile devices. The platform utilizes video and messaging features to enable student discussions before and during the class. Accessible on computer, tablet or phone through the web-based TakeLessons Classroom, or iOS app. How it works: Learners can search for teachers by subject, filtering results by distance, price or reviews to find the best match. 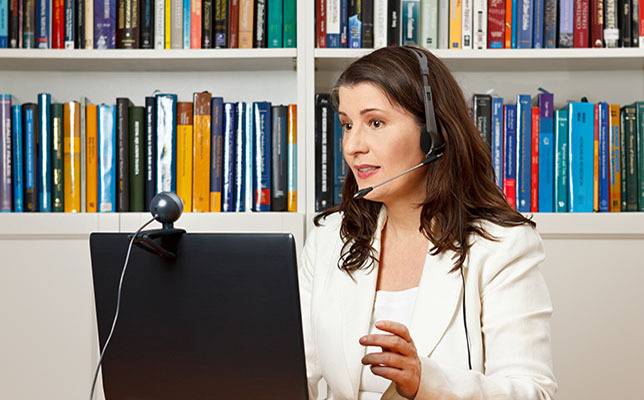 Then, they can schedule a lesson using the instructor’s real-time availability, with the option to connect online or locally, depending on their preference. TakeLessons, launched in 2006, originally focused on musical lessons, but has since expanded to include thousands of private lessons on a variety of subjects. Since its launch, more than 1.8 million lessons have been taught to date, according to its website. To learn more about the TakeLessons online courses marketplace, watch the video below. Further information is available on the TakeLessons website.